With XGA (1024x768) resolution and 3,500 lumen rating, the ViewSonic LightStream PJD6352 is meant for education and business applications that need a 4:3 image appropriate for a small to mid-size room. Widely available for $599.99 or a little less, it offers a LAN port for controlling it over a network, which can be useful for permanent installation. However, it's also small and light enough for portable use. Unlike many DLP data projectors, the PJD6352 delivers highly watchable video. In addition to more than acceptable color quality, it shows few rainbow artifacts. That makes it a good choice for presentations with extensive video or a classroom that needs to show occasional movies. 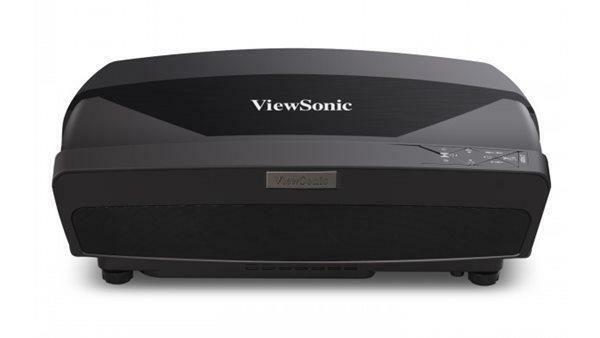 And with full 3D and good sound quality, it's even good enough to bring home for a movie night or watching sports. 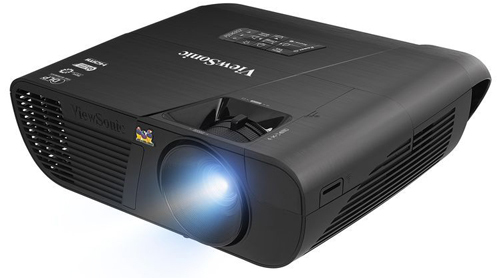 As expected for a data projector, the PJD6352 does better with data images than video. Most important for data applications, the PJD6352 holds detail well, although it's in the near-excellent, rather than excellent, range. White text on black was crisp and readable with the test unit at sizes as small as 9 points. Black text on white was highly readable at 6.8 points. Very much on the plus side, test images designed to bring out pixel jitter and moire patterns were rock solid even with a VGA connection on our tests. Color Preset Modes. The menus offer five customizable preset modes: Brightest, Dynamic, Standard, ViewMatch, and Movie. There are no user modes. All five modes, including Brightest, offer vibrant, nicely saturated color overall, despite at least some colors in most modes looking a touch dark, a little pastel, or off-hue. Movie mode offers the best color and is the only mode that doesn't have any of these problems. However, even Brightest mode delivers good color. That's not true for many projectors, since the brightest mode is typically tuned for maximum brightness without consideration for color quality. Color balance is excellent in Standard, ViewMatch, and Movie modes, with suitably neutral grays at all levels from white to black. The Brightest and Dynamic modes are biased in favor of light output and show some tints, as is typical. For presentations and other data images, Standard mode serves as our Presentation Optimized setting, with the best balance of brightness and eye-catching color. For video, Movie is our Video Optimized setting, with the mode's defaults giving the closest match to our reference calibrated projector. Rainbow artifacts aren't much of an issue for either presentations or video. With data images and color video you might see one occasionally but not often enough to find them annoying. With black and white subject matter they are more visible and obvious enough that some people will find them bothersome. As long as you don't plan to show much black and white video, they shouldn't be a problem. 2D video is necessarily low resolution, but it is highly watchable. I saw almost no judder and no posterization in our most demanding test clips. I saw a little noise in some scenes that tend to bring the problem out, but less than with most data projectors. Color is near-excellent, although it doesn't pop the way it would with a better contrast ratio. 3D video offers essentially the same quality as 2D for those aspects of image quality that both share. Beyond that, there was only a typical drop in image brightness, I didn't see any crosstalk, and there was only the barest hint of 3D-related motion artifacts in the most demanding scenes. The 3D mode supports DLP-Link glasses only, and it offers only one color preset, with no color settings you can change manually.